Since the 1980s a great deal has been written on the relationship between art, architecture, and urban planning and design, on the one hand, and the politics of space on the other. 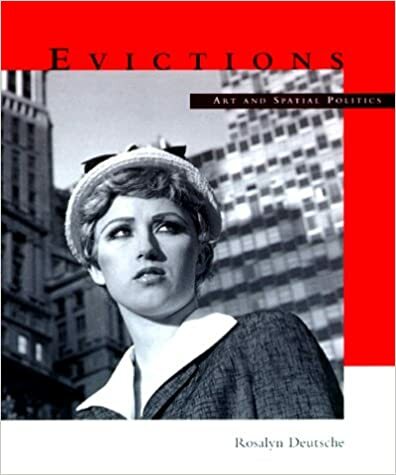 In Evictions Rosalyn Deutsche investigates -- and protests against -- the dominant uses of this interdisciplinary discourse. Deutsche argues that critics on both the left and the right invoke harmonious images of space that conceal and justify exclusions -- whether the space in question is a city, park, institution, exhibition, identity, or work of art. By contrast, she calls for a democratic spatial critique that takes account of the conflicts that produce and maintain all spaces, including the space of politics itself. Evictions examines how aesthetic and urban ideologies were combined during the last decade to legitimize urban redevelopment programs that claimed to be beneficial to all, yet in reality tried to expunge traditional working classes from the city. Combining critical aesthetic theory about the social production of art with critical urban theory about the social production of space, Deutsche exposes this unspoken agenda. She then responds to a new alliance of prominent urban and cultural scholars who use critical spatial theory to protect traditional left political projects against the challenges posed by new radical cultural practices. In her critique, Deutsche mobilizes feminist and postmodern ideas about the politics of visual representation and subjectivity. She also intervenes in debates taking place in art, architecture, and urban studies about the meaning of public space, and places these struggles within broader contests over the definition of democracy. Opposing the nostalgic belief that democracy's survival demands the recovery of a once unified public sphere, Deutsche contends that conflict, far from undermining public space, is a prerequisite for its existence and growth. Introduction. I. The Social Production of Space Krzysztof Wodiczko's Homeless Projection and the Site of Urban "Revitalization." Uneven Development: Public Art in New York City Representing Berlin: Urban Ideology and Aesthetic Practice Property Values: Hans Haacke, Real Estate, and the Museum. II. Men in Space. Men in Space. Boys Town. Chinatown, Part Four? What Jake Forgets about Downtown. III. Public Space and Democracy. Tilted Arc and the Uses of Democracy. Agoraphobia.